Kenya Rugby Union(KRU) has confirmed receiving applications for the position of Kenya Sevens head coach as well other technical positions. KRU says they have received 12 applications seven of which are from foreign coaches and five from Kenya. 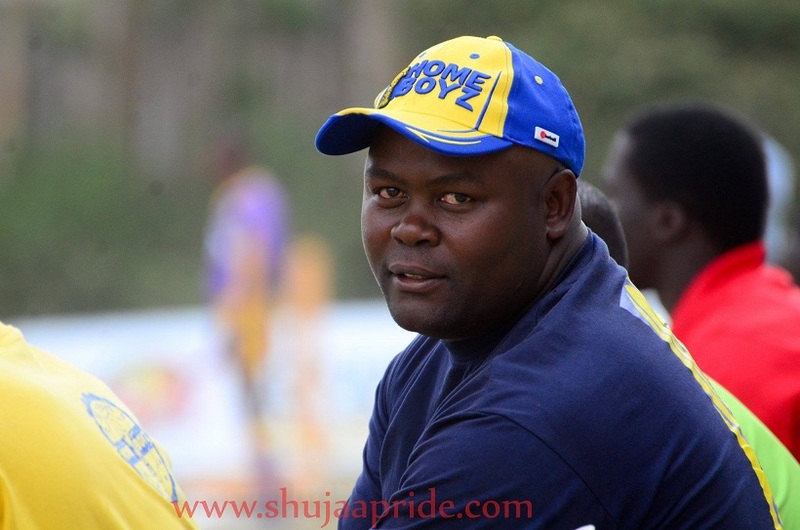 Although KRU did not reveal any names, Raga House is reliably informed that some of those who applied to replace Innocent Simiyu include Homeboyz head coach Paul Murunga(pictured) who served as Kenya 7s assistant during the 2015/16 season leading the team to win Singapore 7s and compete at the Rio Olympics. Murunga coached Homeboyz to winning the National Sevens Circuit in 2016 and is on the verge of reclaiming that title on Saturday at Christie 7s should he lead his side to the Cup semis. 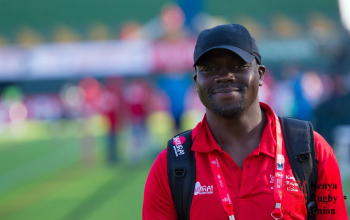 Kenya Women's Sevens coach Kevin Wambua, who coaches local side Mwamba RFC, is also said to have applied for the job. He recently won Dala 7s. We are also told former Kenya 7s international and KCB Sevens coach Dennis Mwanja applied. A number of foreign coaches who applied Raga House believes hail from South Africa, Zimbabwe, England and as far as New Zealand. "The Head Coach position has received a total of 12 applications made up of 7 foreign and 5 local applicants," said KRU. 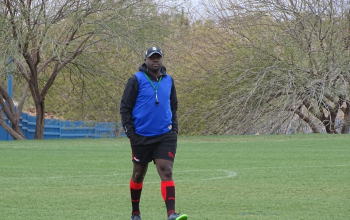 Key profiles who we understand did not apply for the job are current coach Innocent 'Namcos' Simiyu and two-time Kenya 7s coach Benjamin Ayimba who led the team to many forsts including winning the only World Series title at Singapore 7s in April 2016. 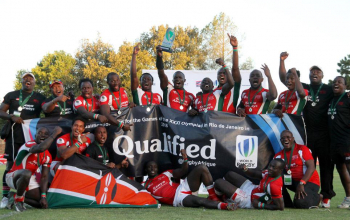 Menengai Oilers head coach Gibson Weru and former Kabras Sugar head coach Charles Cardovillis who won the 2017 national sevens circuit with Kabras Sugar as well as Nakuru's Mitch Ochola who was the Kenya 7s coach back in 2011 did not all apply for the job. Eight applicants have expressed their interest in the Strength and Conditioning Coach position that is currently being held by Geoffrey Kimani; a sprints coach with Athletics Kenya at World Championships in 2015, IAAF Sprint and Hurdles coach as well as World Rugby Educator. "This includes 3 foreigners and 5 locals while 9 applicants,all local, have applied for the Physio’s position. A further 11 local applicants have expressed their interest in the Team Manager’s post." The five locals are all said to be from leading Kenya Cup clubs. Lameck Bogonko is currently the physiotherapist while Eric Ogweno is the team manager but their contracts, alongside that of Simiyu, end in October. We are also told that a number of former Kenya 7s team managers and others from the Kenya Cup have shown interest in the position. "The shortlisting and interviewing process will take place this week," added KRU. Kenya Sevens will get their 2018/19 season going with Africa 7s to be held in Tunisia in mid-October before returning home for Safari 7s on November 10 and eventually HSBC World Sevens Series opening leg, Dubai 7s.